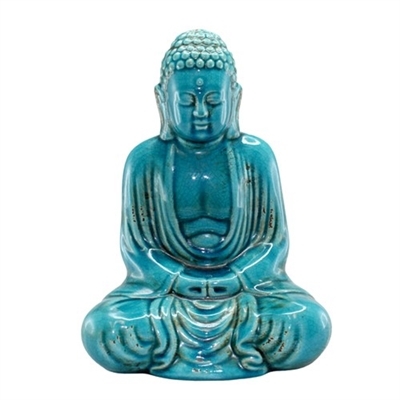 Ceramic Buddha statue in teal. Color glaze may vary slightly. Dhyana indicates the perfect balance of thought, rest of the senses, and tranquillity.